Three brothers are separated at a young age and go on to live increasingly disparate lives. One becomes a detective. Another, a criminal kingpin. And the third? Well, he’s living in the lap of luxury as the heir to his adopted parents’ casino empire. What do you get when you put the three of them together? A clash of ideals. Serious family drama. And blood. Korean drama Triangle succeeds because it weaves the best aspects of several genres into one seamless package. Action? Romance? Intrigue? It’s all here. Small wonder the series has attracted such a large following. As expected, it’s also attracted thousands upon thousands of bootleggers eager to make a quick buck. These thieves produce pirated Triangle DVDs en masse and distribute them throughout Asia (and the rest of the world) like so many unwanted pieces of garbage. These fakes have even ended up in the most unlikely places – which is the case with the item we’ll be discussing today. If you thought everything in Japan is 100% legit, you’d be gravely mistaken. 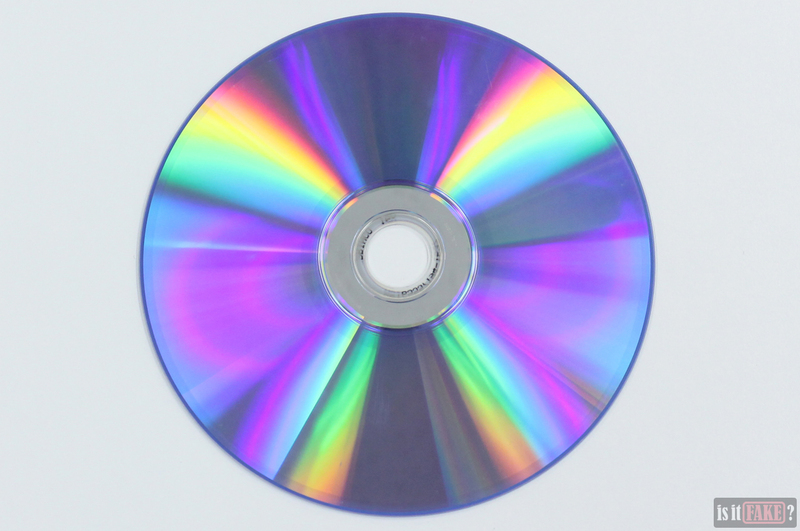 Though they’re not as common as they are in countries like China, Thailand, and the Philippines, pirated DVDs do exist in Japan. 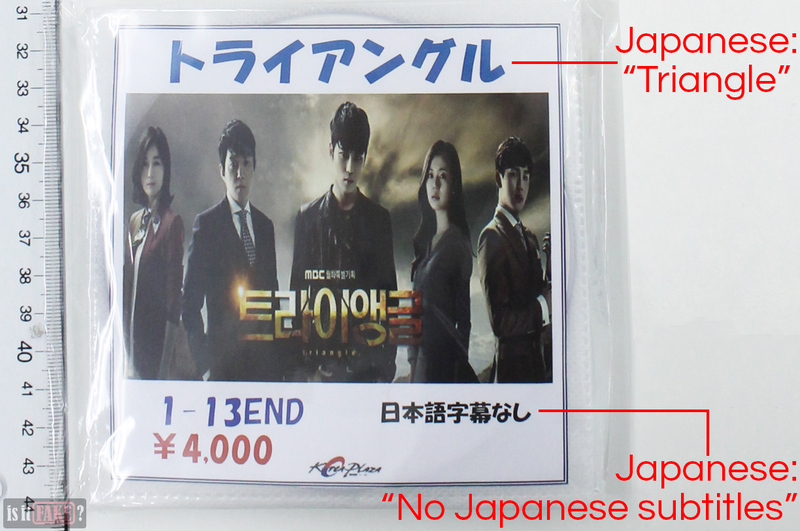 Case in point: we purchased this fake Triangle DVD set from KoreaPlaza, a physical store in the “Little Korea” portion of Tokyo, Japan. KoreaPlaza itself is likely the manufacturer of this item; their logo, after all, proudly adorns its packaging. 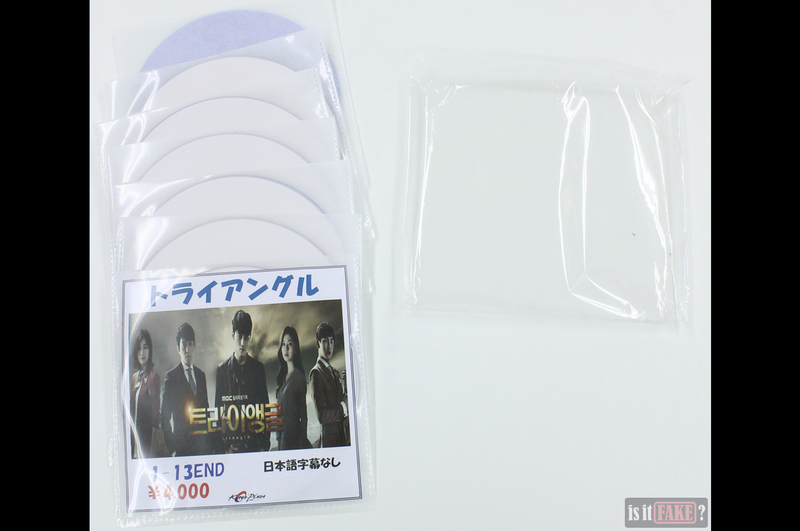 The packaging of this set of pirated Triangle DVDs is as simple as it gets; it’s basically a clear plastic wrapper housing a cluster of plastic and cloth sleeves. 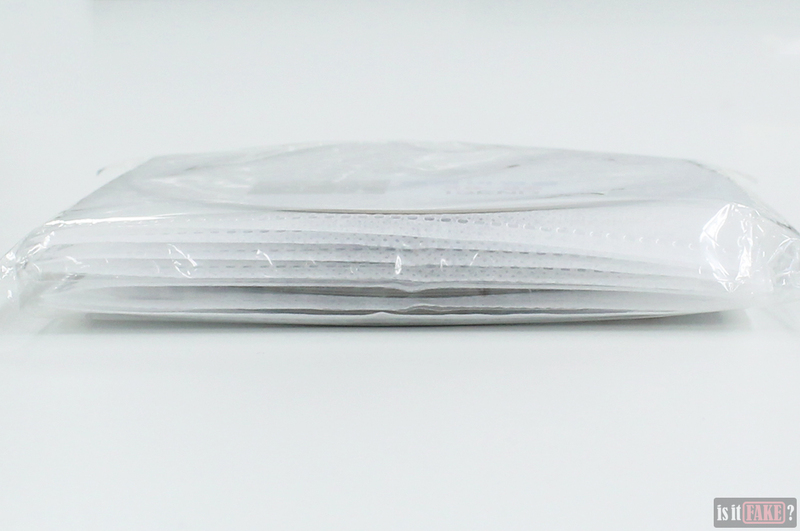 A sheet of paper serves as the packaging’s front cover. 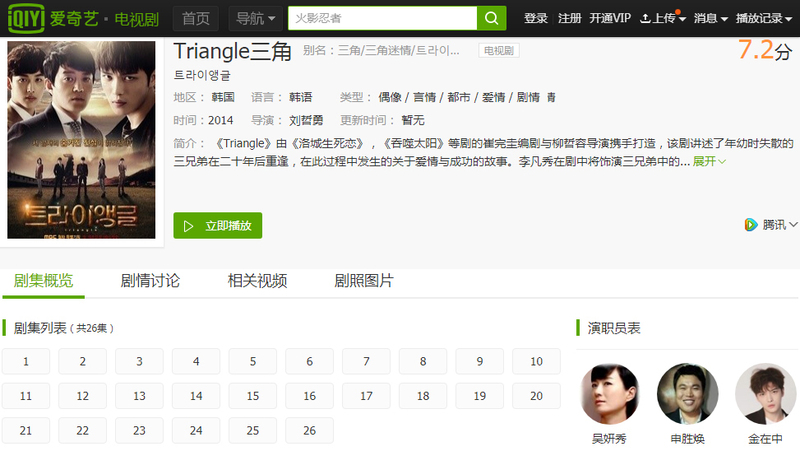 On it, you’ll find official imagery (click here to see the photo used in the official Triangle website). Also present are Japanese characters stating the series’ title, as well as the DVDs’ lack of Japanese subtitles. You’ve most likely noticed the price tag: ¥4,000. That’s roughly $37… for pirated DVDs. It’s so expensive it’s almost tantamount to extortion. There’s no mention of MBC (the Korean television network that originally aired Triangle), SPO Entertainment (the official Japanese publisher of Triangle DVD and Blu-ray products), or any copyright information anywhere on the packaging. A licensed product will always display this data on its packaging, so the absence of such should alarm you. You do find the KoreaPlaza logo, though. 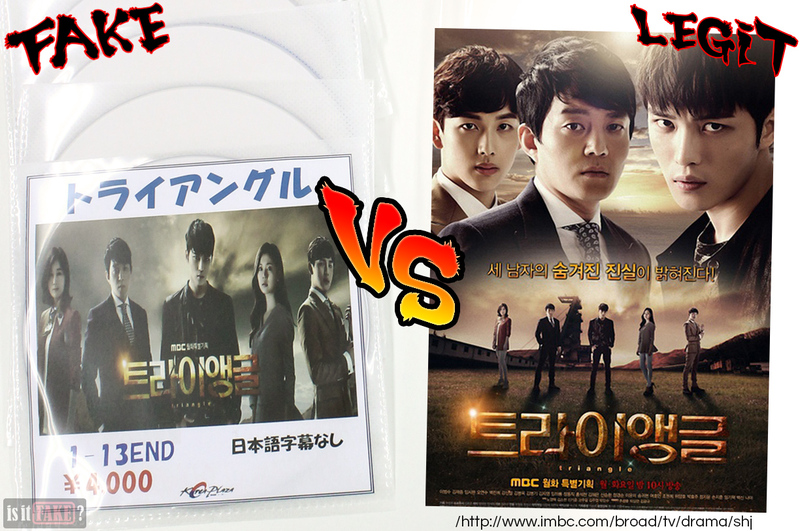 The set comes with 13 DVD discs, each containing 2 episodes for a total of 26 episodes. That’s the entire season. Which is a good thing, right? Wrong. Read on to find out why. For starters, while the audio is in Korean, there are no subtitles whatsoever. A huge majority of Japanese people won’t understand what the characters are saying, so this set is useless to them. There are no English or even Chinese subtitles, so it’s a pointless purchase for tourists visiting Japan. South Korean tourists can just go back to their country and watch Triangle on any of the many legal video on demand (VOD) sites in existence. 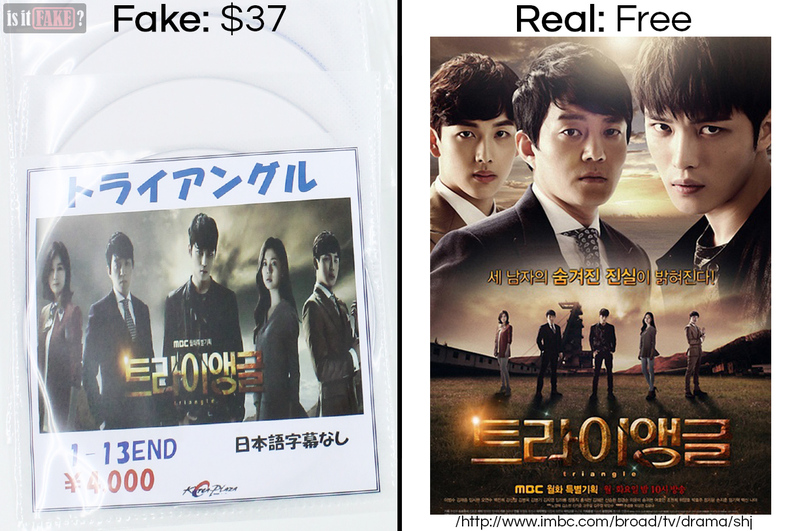 In other words, this bootleg will only be of some value to Koreans living in Japan. Except that’s not true, either. Many of the 13 discs are of such terrible quality that DVD players can’t read them. So there’s a good chance you’ll only be able to watch a tiny portion of the entire show. The lack of the MBC logo suggests the episodes were ripped from the official DVD product. Despite this, the fake DVDs don’t come with digital menus, or special features such as cast interviews, unaired scenes, and behind-the-scenes footage. 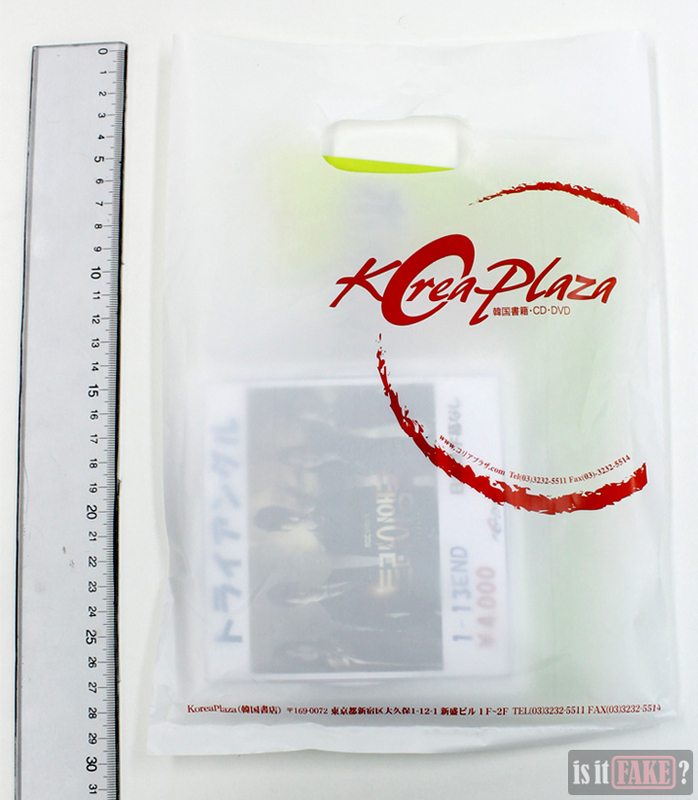 There are no bonus goodies, such as booklets or artworks that are usually packaged with official DVD releases. Remember that you’re paying $37 for this. $37? For a set of fake DVDs? That’s highway robbery! This is especially true given the fact that the show is freely available online. The problem is not everyone knows about legit VOD services. Well, that’s where we can help. The internet is home to plenty of VODs that allow you to watch hundreds of movies and television series legally and for free. The video quality of these shows is always excellent, and you can expect subtitles in different languages. These VODs offer subscription packages too, which will grant you benefits such as the option to watch videos in higher resolutions. 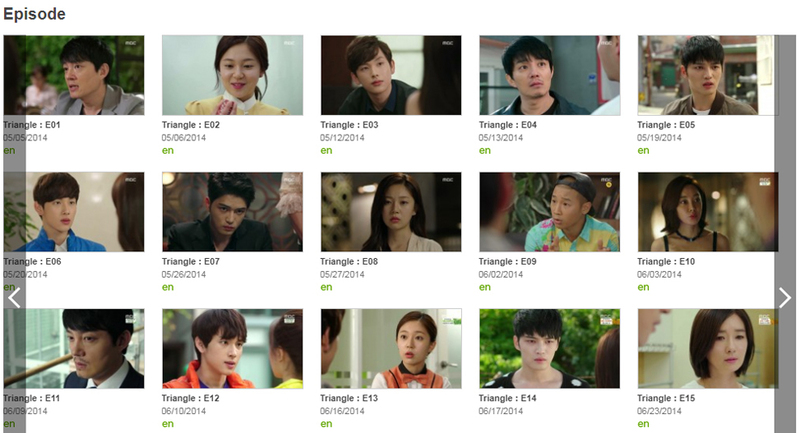 From one such VOD, you can watch Triangle. 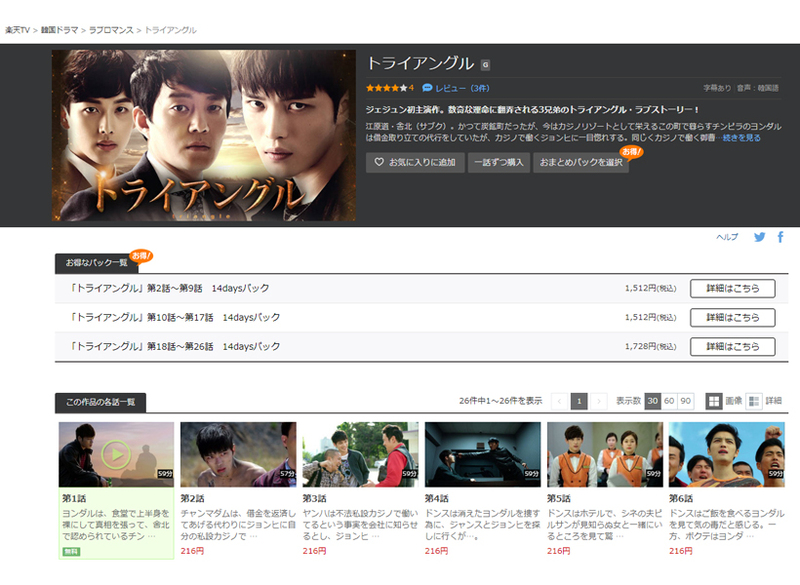 Viki’s main draw is its gargantuan library of Asian entertainment, making it the website of choice for Korean drama fans. It does, however, also boast titles from around the globe. The downside is some of the shows on Viki aren’t available in all regions. But no need to fret! 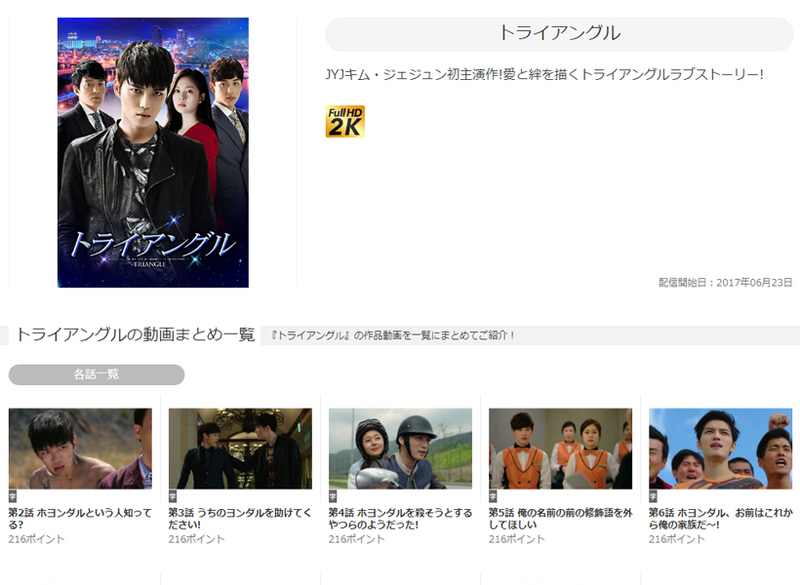 There are other sites where you can watch this show, including Japanese online video streaming services U-Next and FOD. These sites offers free trials, so you can watch hundreds of shows from all over the world without spending a dime. Other legal Japanese VODs include Rakuten TV and VideoMarket. 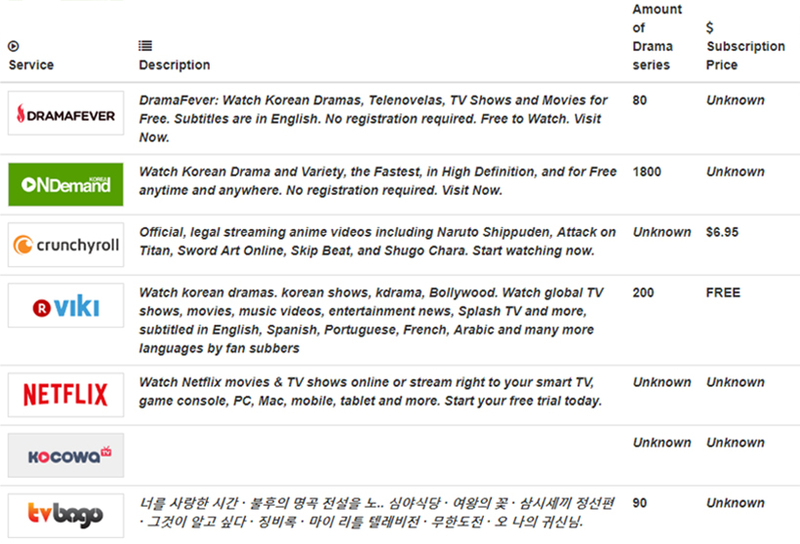 Both sites offer the first episode for free, but you’ll have to pay 216 yen ($2) for each episode after that. There’s an option to pay for the episodes in bulk, which is cheaper. 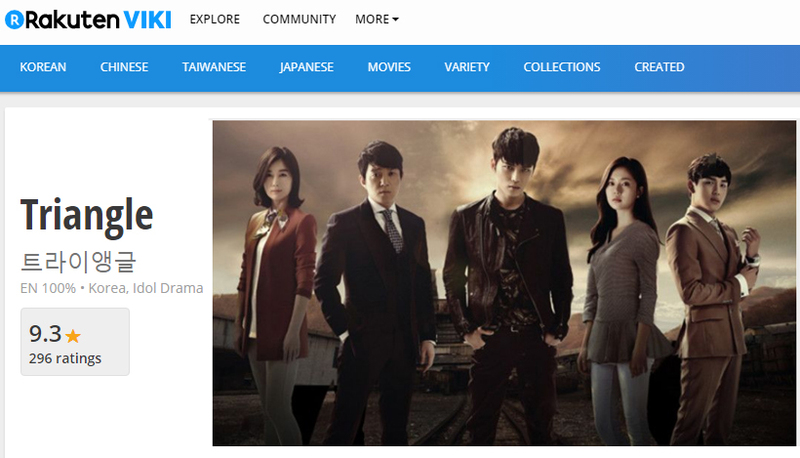 Korean drama fans in North and South America can watch Triangle on OnDemandKorea instead. If you’re in China, check out iQIYI or Tencent Video. 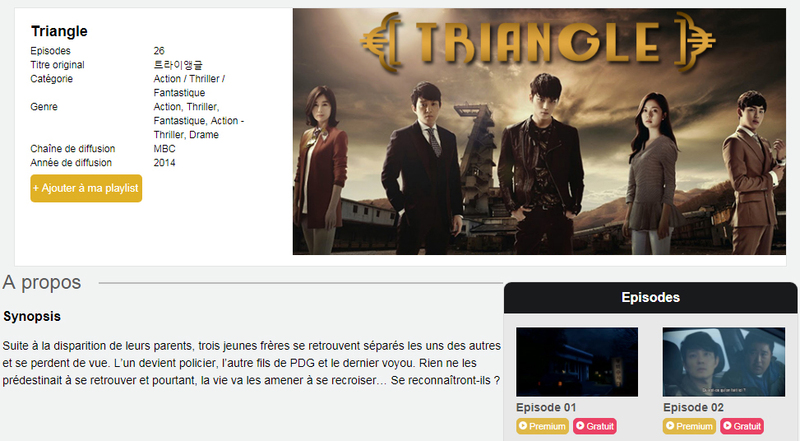 You can also find Triangle on DramaPassion, a French VOD. In our review of the first pirated Triangle DVD we acquired, we discuss more VODs where you can watch the series, so head on there if you’re interested. You can also check out our Get-Dramas page for a list of legal VODs. If you’re a DVD/Blu-ray collector and would rather own the official Triangle DVD/Blu-ray box sets from SPO Entertainment, the Japanese Cinemart store is your best bet. As the site is in Japanese, make sure you have the Google Translate app for ease of navigation. Cinemart has a page dedicated to the Triangle DVD/Blu-ray products; just scroll down until you see the “purchase” buttons. The official Triangle DVDs/Blu-rays are split into two boxes. The first comes with 6 discs, while the second contains 5 for a total of 11 DVDs. Each box comes with high-quality bonus goods including interviews, unreleased footage, photos, and full-color 50-page booklets. Alternatively, you can buy the box sets on Amazon Japan. Just click here and here. While we’ve encountered numerous shoddy bootlegs, this set of pirated Triangle DVDs is particularly offensive because of its price. And what exactly are you paying for? Discs that don’t work, zero subtitles, and packaging with no aesthetic value whatsoever. This “product” deserves no less than a 95% terrible score.